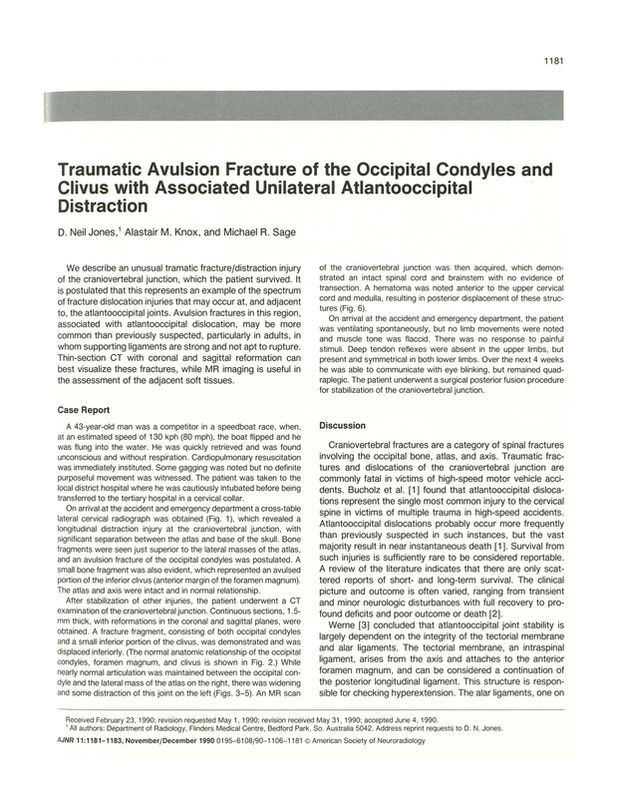 Traumatic avulsion fracture of the occipital condyles and clivus with associated unilateral atlantooccipital distraction. Department of Radiology, Flinders Medical Centre, Bedford Park, So. Australia. You are going to email the following Traumatic avulsion fracture of the occipital condyles and clivus with associated unilateral atlantooccipital distraction.